So much to offer! Huge end of group with one of the largest yards in the Village. Located on a wide street with plenty of parking and on the original Towson side of Loch Raven Village, this renovated end of group townhome has everything you want. Parking pad off the alley, shed for lawnmower and more, play house, covered brick patio. 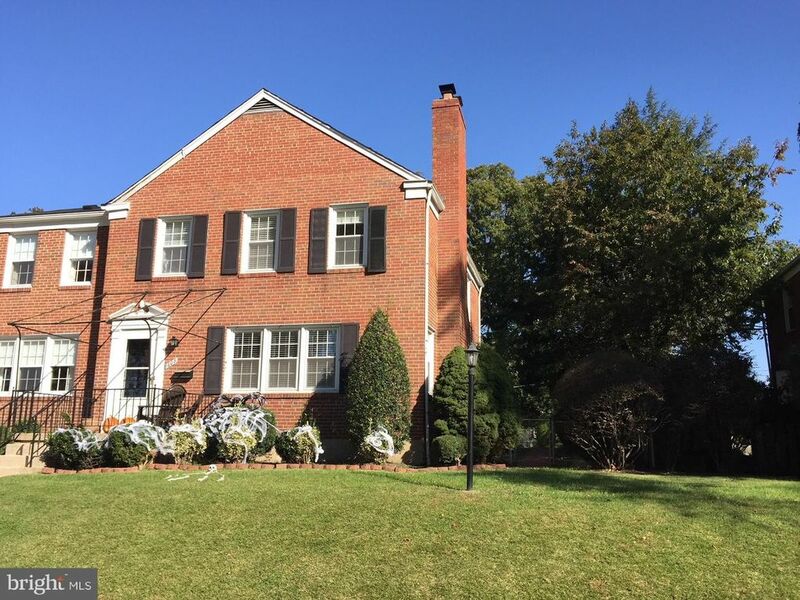 Gorgeous hardwoods, renovated kitchen, finished lower level with full bath. Roof is approximate 8 years old. Recent replacement windows. AC compressor replaced 6/2018. Cook-friendly kitchen with stainless appliances, granite counters, lots of storage plus room for a table seating 4 or 5. Lots of light: windows on three sides. Fenced yard. There are two fireplaces: living room one is used but both are as-is. Roomy bedrooms. Cozy family room. The yard is level and perfect for games, sports, the dogs, and more.